Heidi Mordhorst is hosting Poetry Friday at My Juicy Little Universe. The optional theme this week is climate change. I think everyone knows by now, one of my favorite poetic forms is the portrait poem. Maybe it’s because I studied dramatic writing as an undergrad, but I think there’s something magical about bringing a character to life in the space of a small poem. My poem for this week was inspired by my recent trip to Israel with PJ Library and the Harold J. Grinspoon Foundation. We spent the first few days traveling in the desert, including a strenuous hike, a visit to a Bedouin encampment, stargazing from the bottom of a crater, a visit to solemn Masada, and kayaking on the still blue water of the Dead Sea — over 1,300 feet below sea level. Under the Old City — we walked on an ancient paved road that once led to the Jewish Temple. From that vast landscape and all of its profound experiences, we moved on to Jerusalem. Although I had visited Israel once before, I didn’t spend much time in Jerusalem on my last trip. I fell in love with this city. Modern, yes, but also ancient and undeniably spiritual. One of the sites we visited was a dig below the city where an ancient road, dating to at least 2,000 year ago, is being excavated. I think that’s why — when we finally arrived for our final two days of the trip in cosmopolitan Tel Aviv — the man in the green suit made such an impression on me and my traveling companions (all fellow children’s authors). Photo by Mark Shulman. Beachside promenade, Tel Aviv. There was nothing of the desert and its silence or ability to make one feel small about this guy. None of Jerusalem’s inward focus. His polished look was the opposite of effortless. I think that’s what made him so noticeable — at least to us. I jotted down a poetic sketch later that same night. Luckily, my friend Mark Shulman snapped a photo, which I’m posting here with Mark’s permission. This week’s Poetry Friday host is Kay McGriff at A Journey through the Pages. Happy Friday, poets and poetry lovers! Autumn has arrived in full force. We had our first frost in Maryland this week, but I’m still thinking of the sunny days of summer. Last Friday, I brought you with me on a visit to the Sea Turtle Hospital on the Florida Keys. Today, let’s visit the beach. Available at Nat Geo’s online store. I was thrilled when J. Patrick Lewis invited me to contribute a poem to his wonderful new anthology, The Poetry of US, which contains “More than 200 poems that celebrate the people, places, and passions of the United States.” The book is published by National Geographic, so it’s no surprise that the photographs on every page are gorgeous. My assignment was to write a poem about New Jersey. People laugh when they hear that Jersey’s nickname is “The Garden State.” All they’ve seen of my home state is highways — and the factories and airports that surround them. In fact, for a small state, New Jersey is geographically diverse. Its long eastern border is the Atlantic Ocean. It contains the Pine Barrens, part of the Appalachian Trail, and many state forests. When I sat down to write my poem, I wanted to show people the other side of New Jersey. I thought about summertime trips to the beach when I was a child, and how some of the places we loved best had been devastated by Super Storm Sandy in 2012. There’s a video showing the damage to our favorite boardwalk in Seaside Heights here. Most of the time, my family avoided the bustle and busy-ness of the boardwalk and amusement parks. Instead, we would leave early, early in the morning to find a spot at Island Beach State Park. This is a preserved, undeveloped barrier island with beautiful, spare beaches. I always loved running along the path, over the dunes, and catching that first glimpse of the Atlantic. with towels, sunblock, coolers of food. but they’re for boardwalk people. We smile when we reach the park gate. No hotels here. No tourist shops. Can you smell the salt air? Mom asks. The beach stays hidden behind miles of dunes. race down a path through the scrub. first to stick my toes in the icy Atlantic. and the ocean. All I hear is the music of the waves. Search the subject index of The Poetry of US and you’ll be sure to find places and people that are dear to your heart. Mary Lee Hahn’s poem “Bessie and Amelia,” about female aviators Bessie Coleman and Amelia Earhart, reminded me of reading Pat Valdata’s book, Where No Man Can Touch. You can read my post about that book — all persona poems spoken in the voices of women pioneers of flight — right here. Have fun exploring The Poetry of US! Our beloved historic downtown has been hit with its second catastrophic flash flood in less than two years. If you would like to help with recovery and restoration efforts, please consider donating to the Downtown Ellicott City Partnership. In 2016, Amy Ludwig VanDerwater asked me to contribute a current events poem to her wonderful collection, POEMS ARE TEACHERS. It was late summer, 2016. The first Ellicott City flood had just happened. Days after the area re-opened to the public, my daughter and I walked down Main Street. The damage was breathtaking. Sidewalk and pieces of the street torn open, so that you could see into the basements of the historic brownstones. Only a handful of businesses were open. Water can be a terrifying force. Of course, I knew what I would write about for Amy’s assignment. in a swirling rage. It’s resting now. We stare at empty spaces. It whisked cars down the hill. gave the flood an eerie glow. pulled a woman from her spinning car. we did not know the river had. other than they were in its path. The author’s note included with the poem reads: My town made national headlines when a flash flood tore apart our historic Main Street. Writing a poem helped me reflect on the frightening images of this event. I think this is one reason why people turn to poetry during difficult times. A poem is a safe place to write about emotions like shock and grief. It is also one way to share those feelings with others. I am sickened that our beloved downtown Ellicott City is experiencing this catastrophe again. Thanks to Amy for giving me the space to write about this horrific flood, which tore apart our historic downtown. The area had made an amazing comeback in less than two years, once again thriving — with many businesses reopening and several new shops and restaurants. Again, if you’d like to make a flood relief donation, Ellicott City Partnership is the recommended non-profit. My aunt (currently in Kosovo) heard news of the Ellicott City flood. She asked, “Why the extreme flooding?” Here is my answer, if you’re also curious. Keep in mind — I’m not an expert, just a long-time resident and keen observer. We live about three miles from historic Ellicott City. The quaint old downtown is an important part of our lives here. Ellicott City is a pre-revolutionary mill town. The area that was flooded was the first terminus of the B&O railroad out of Baltimore. The original station house still stands and is now a museum. The area is about five or six long blocks of brownstones and historic buildings, most with shops and restaurants on the ground floor. It runs down a steep hill to the railroad trestle, finally making a “T” with the Patapsco River — the low point of the hill. The Patapsco has a history of floods, some catastrophic. But that’s not what happened in 2016 or yesterday. We have lived here for nearly 20 years. This flash flooding tearing down Main Street is new. Main Street runs alongside several small tributaries to the Patapsco — especially its parallel river, the Tiber — which flow down the hill and into the larger river. These smaller rivers may have risen, but they did not break their banks until August 2016. There is no question in my mind that aggressive building in the hills above Main Street are at the root of the flooding. Trees were cleared and soil was stripped for dozens of new construction projects. The water has nowhere to go. They say the damage is worse than 2016. It’s hard to imagine that. The water broke storefront windows and literally rushed through buildings front to back last time, destroying everything inside. It tore up sidewalks and pieces of the street. The rebuilding project has been massive and successful, but I can’t understand why they undertook rebuilding without doing serious flood abatement. This was bound to happen again. We’re absolutely heart-broken. Our local government must take care of the environment in order to protect one of our best and most beloved resources. 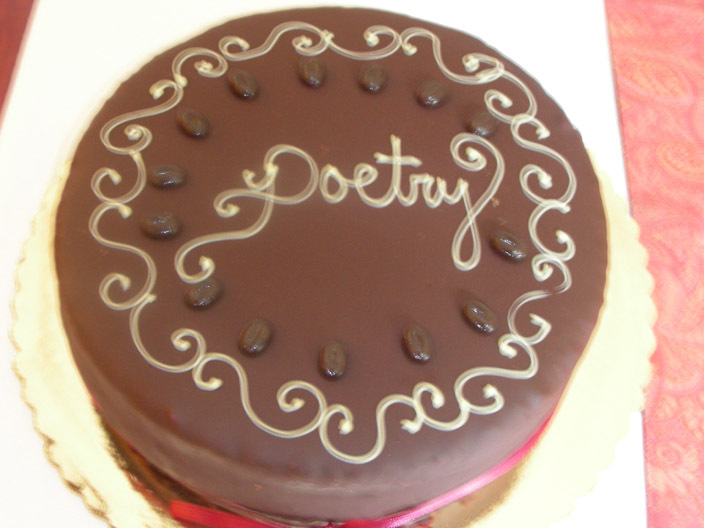 This week’s Poetry Friday host is Jone at Check It Out. She’s got big news about the Cybil Award for Poetry! Happy Poetry Friday! Thanks for visiting the Poe House with me last week. I pulled a random name from the comments and Jama Rattigan is the winner of the Poe Keepsake Journal. Congratulations, Jama! Before I get to this week’s post, I want to thank Arnold Adoff and the Virginia Hamilton Conference. Last week, I learned that my debut novel, The Last Fifth Grade of Emerson Elementary, was named the Arnold Adoff Poetry Award for New Voices honor book. “Surprised” is an understatement! It is a huge honor and I’m so grateful for the recognition. Please do visit the full list of award-winners. There are some phenomenal books among the 2018 awardees. Inspired by my educator friends, one of the new things I’m trying with my 2018 journal is tracking my reading. I’ve kept track via Goodreads before, but charting books is allowing me to take a close look at my genre preferences and how many children’s novels I read, versus YA or adult. I am very excited about my most recent read. Wendy McLeod MacKnight’s The Frame-up is about boy who — spending the summer with his art-gallery-director father — discovers a great secret. Paintings are alive! Let’s say you are a portrait. You keep all of the memories of your living person (the subject of the portrait) until the moment the painting is finished. From that point on, you become your own entity, keeping quiet and still during the day, so museum goers won’t guess the truth. At night, you visit friends and neighbors in other paintings. And by visit, I mean going into a painting of a pub to drink and dance with your buddies or, if you’re a child, hopping into a seascape with a soothing pier for you to walk around. If that seascape is so soothing that you fall asleep in the painting — the wrong painting — no worries … as long as you’re back in your own picture by the time the museum opens. But let’s say the gallery director’s son, Sargent Singer, happens to come along to the gallery one night and notice that your portrait frame is empty. And then what if he spots you, fast asleep on a pier, in the wrong painting? This middle grade contemporary fantasy will be available in June. Pre-order now from Indiebound. This is how The Frame-up opens. The painting that Sargent catches is that of a girl about his age, Mona Dunn. (You can view William Orpen’s Mona Dunn here.) The two of them spark a secret friendship, chock-full of adventures and mishaps. How serendipitous that I’d have a chance to read the ARC right now, when our February Poetry Project is in the midst of writing in response to art! I know that members of this group are going to love how vividly MacKnight imagines the personalities of several paintings — all found at the real-life Beaverbrook Art Gallery in New Brunswick, Canada. I went back to the first February Poetry Project, looking for a poem to pair with Wendy’s book. The theme that year was vintage post cards. Many of those poems were portraits of the people pictured on the cards, but only one imagined that the people in the image are awake, thinking beings. Luckily, this poem is a good fit for Valentine’s Week. You have no lips to kiss or speak. I have no ears to listen. or read my cautious expression. with your fluttering lids, must come. Sadly, these two are frozen in their art, unable to move or communicate. They’d much prefer being in the wonderful world of The Frame-up. Find the original post with this postcard and poem at Author Amok. Where are the poets hanging out this week? With the Rain City Librarian! You’ll find links to original poetry, book reviews, and more here. It’s almost Thanksgiving, Poetry Friday fans. That means baking season is upon us. At our house, Mr. S is the cook. Baking – that’s my job. This year, I got brave and entered my cookies in the Baltimore Sun’s annual holiday cookie contest. They made the first cut, but were not selected to appear in the paper. However, I’m not crying into my cookie dough. It was fun to take a chance on something that was creative, but not writing-related. Since it’s Poetry Friday, I went searching for a poem to pair with the recipe and came across Edwin Romond’s wonderful “Peanut Butter Cookies” at Your Daily Poem. And since I’m reading Nikki Grimes book of Golden Shovel poems, ONE LAST WORD: WISDOM FROM THE HARLEM RENAISSANCE, I thought I’d attempt a Peanut Butter Cookie Golden Shovel poem. I also made this poem an acrostic. You’ll find both Edwin Romond’s poem and my Golden Shovel after the recipe. My version is regional, using two beloved Baltimore ingredients. I’ll include a standard option for those of you out of state who want to give these treats a try. Pre-heat oven to 375. Grease 2-3 cookie sheets. Cream in brown sugar, then beat in egg. Sift the flour and salt. Stir in with 2/3 cup of the crushed potato chips. Roll the balls in the coating. Place about an inch apart on the cookie sheet. Press down on the top of each cookie with a fork, making a criss-cross design. Bake 9-12 minutes. Makes about 3 dozen cookies. Delicious eaten warm! Let’s wash down those cookies with some poetry. erased the recipe from her mind. Read the rest of the poem here. Have a tissue ready. Every crumble, until you’re a delicious memory. These cookies, from All Recipes, resemble PB and Bays.